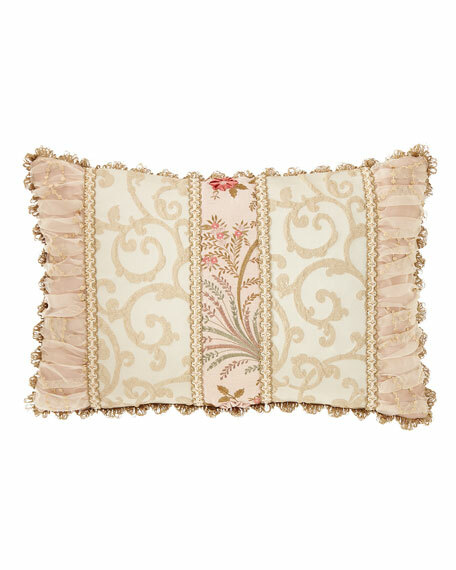 Swirled coverlet with embroidered sheer skirt and pink underlay. 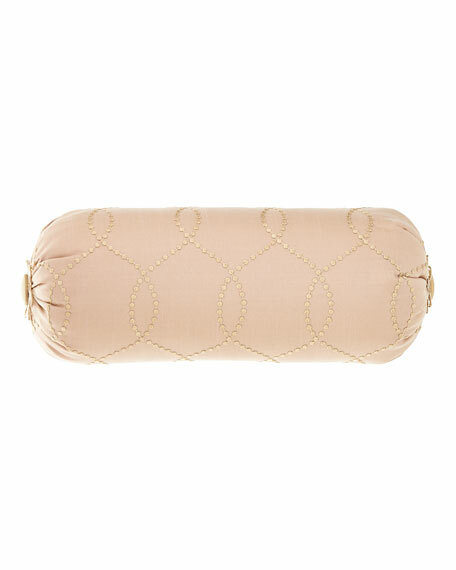 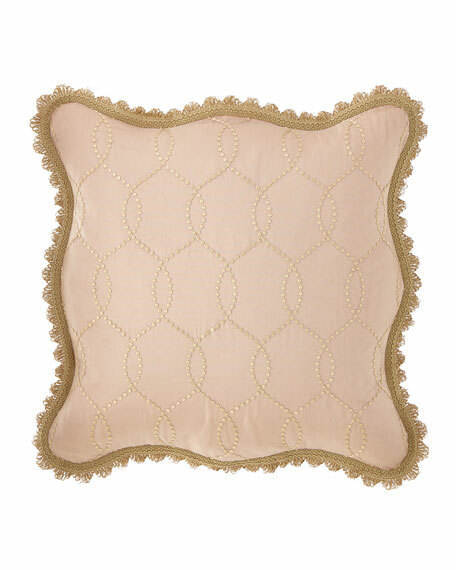 Scalloped sham has embroidered pink underlay. 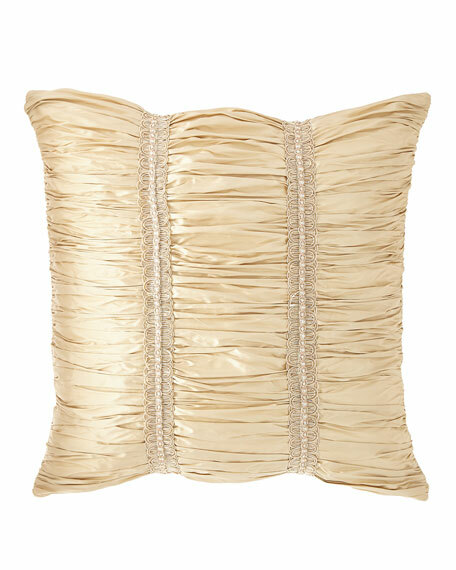 Ruched silk sham with scallop braid trim. 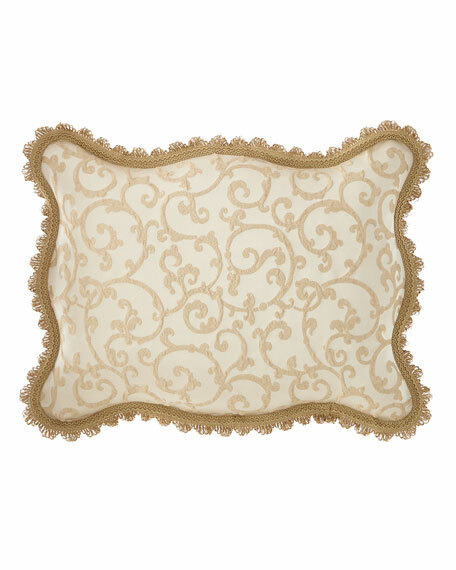 Scalloped sham with fringe edge. 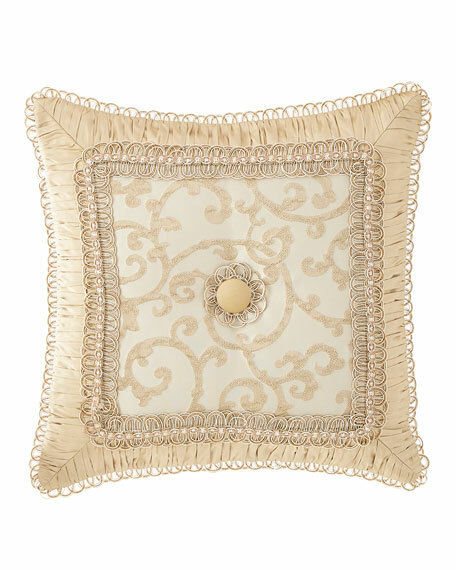 Pieced boutique pillow with ruched silk sides and flower center.